The Wilma Awards | Vote Now and until Oct 14th. 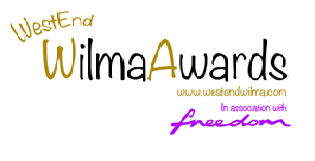 The first ever Wilma Awards, in association with Freedom Bar Soho will take place on Friday afternoon, 7th November 2014 at an exclusive invite-only ceremony at Freedom Bar in Soho, hosted by Tim McArthur. I must admit I am absolutely intrigued by these awards – some fabulous categories and worthy nominees – I cannot wait until Oct 1st to get voting, for me some of my votes will be no-brainers and some……well…..I am going to have to think about. Guests will be treated to Afternoon Tea with Wilma (courtesy of The Full English) while they watch the winners be revealed and listen to some very special live performances! West End Wilma and her team of reviewers have shortlisted the nominees in each category from their combined opinions on the past 12 months Theatre. It is now up to the public vote to decide on the winners. West End Wilma is everyone’s favourite nana in the Theatre world. Running around the West End interviewing stars, reviewing shows and blogging about theatre at www.westendwilma.com. Earlier this year Wilma was voted Ticketmaster’s Theatre Blog of the Year 2014 and has been included in Lastminute.com’s top ten blogs for two years in a row. West End Wilma and her team of reviewers will shortlist the nominees in each category from their combined opinions on the past 12 months of Theatre. Those shortlisted will then be put to the public vote to decide on the winners. West End Wilma is everyone’s favourite nana in the Theatre world. Running around the West End interviewing stars, reviewing shows and blogging about theatre at www.westendwilma.com. Earlier this year Wilma was voted Ticketmaster’s Theatre Blog of the Year 2014 and has been included in Lastminute.com‘s top ten blogs for two years in a row. As someone who loves a good theatre awards show I was absolutely delighted to hear that West End Wilma is going to host her own this year, called ‘The Wilma Awards’. 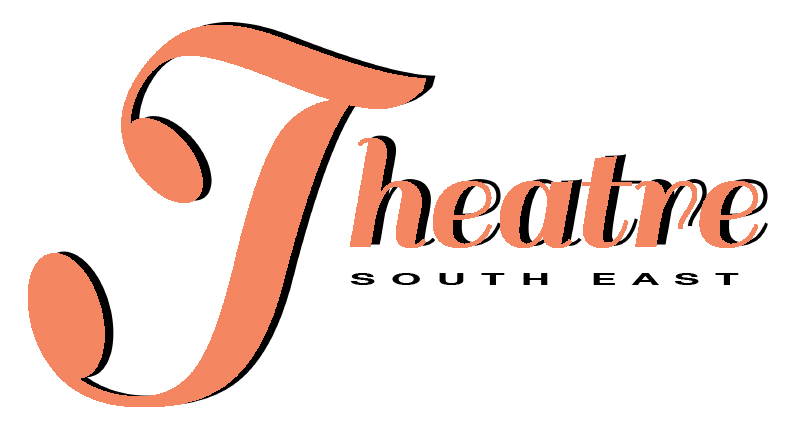 West End Wilma is one of the most popular theatre blogsites around and it has a mountain of theatre information, reviews, interviews and continues to go from strength to strength. I love her choice of categories, not as high-brow as other award ceremonies but yet all important, she is still looking for more companies to sponsor the awards so if you can help please get in touch. It promises to be a great afternoon, I hope there will be live tweeting from the event. Beware a lot of rambling about last night’s awards ceremony coming up. But I guess that is the reason for this blog, to ramble to people who may be interested (or not as the case may be). 2013 was not a big theatre going year for me, too many other things were happening, so I didn’t get to see many of the nominees, and as I have said before I don’t ‘review’, I don’t want to pitch one production with another as everything I see at the theatre is marvellous *wink. However If you saw my tweets last night you would know that I was routing for Merrily We Roll Along as I was seriously wowed by that production when I saw it this time last year. So much so I also went to the Cinema to see it courtesy of Digital Theatre and yes I have downloaded it as well. For me the Oliviers are all about celebrating productions and bringing the theatre world to the masses. Prepare for rant.